Say hello to this clear and blemish-free skin using the Detoxifying Charcoal Face Scrub. It which works like a magnet to draw out and trap deep down dirt, oil and impurities while also absorbing excess oil. 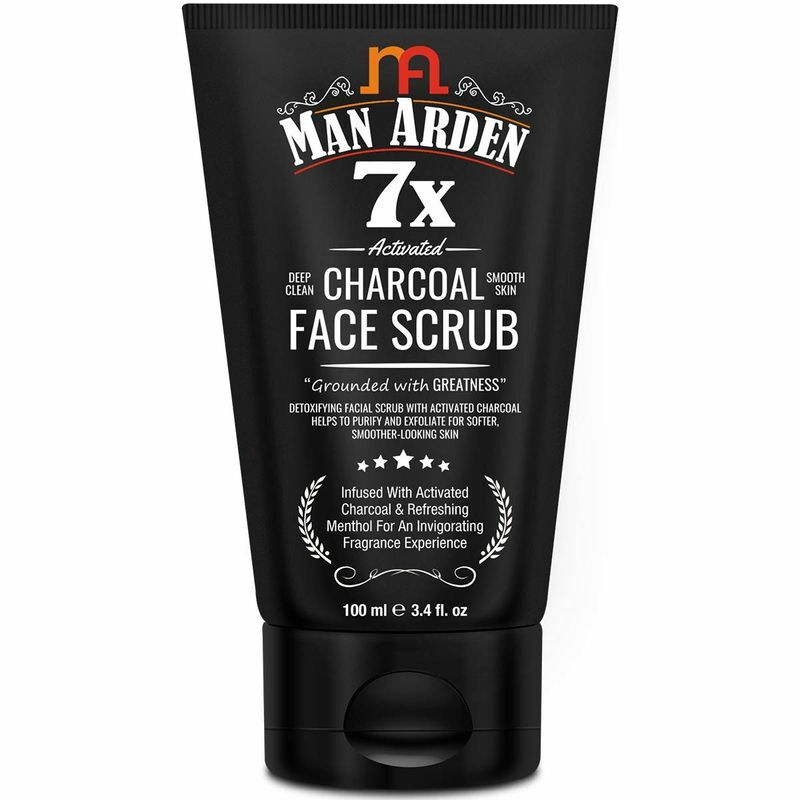 Man Arden 7X Activated Charcoal Face Scrub infused with vitamin C and uplifting magic of menthol works wonders for dull, dehydrated skin. During the day the skin is exposed to endless chemicals, pollutants, bacteria, sunlight, and more. This natural, easy-to-use scrub works in synergy with your body to fight back and remove these harmful pollutants. 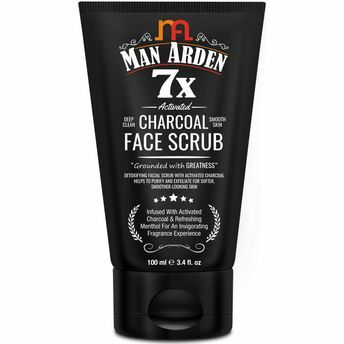 Experience that moisturised, refreshing feeling and restore a youthful glow with this charcoal scrub. A natural skin care treatment that exfoliates dead skin cells, improves skin tone, cleans and tightens pores, fights acne, removes excess oil, blasts cellulite and even helps reduce fine lines and wrinkles. You'll feel the difference with skin that's fresher, healthier and more radiant. The activated charcoal in this exfoliating scrub gets right down into your skin to draw out toxins, impurities and excess oils from your skin while leaving the good stuff - the nutrients and minerals your cells crave for; right where they belong.